Putney Hill won the Excellence in Medium Density Development ( Masterplanned) Environmental Partnership is very proud to be part of the team , congrats to Frasers property Australia and the whole team. Putney Hill was designed to redefine the new Australian neighbourhood with a sophistication not previously experienced in the Putney/Ryde area. With over 50 per cent of Putney Hill dedicated to green space including the 2.4-hectare showpiece, Lardelli Park, the homes seamlessly integrate with the natural landscape taking advantage of the undulating topography to ensure the built form doesn’t dominate but fits comfortably within the landscape. 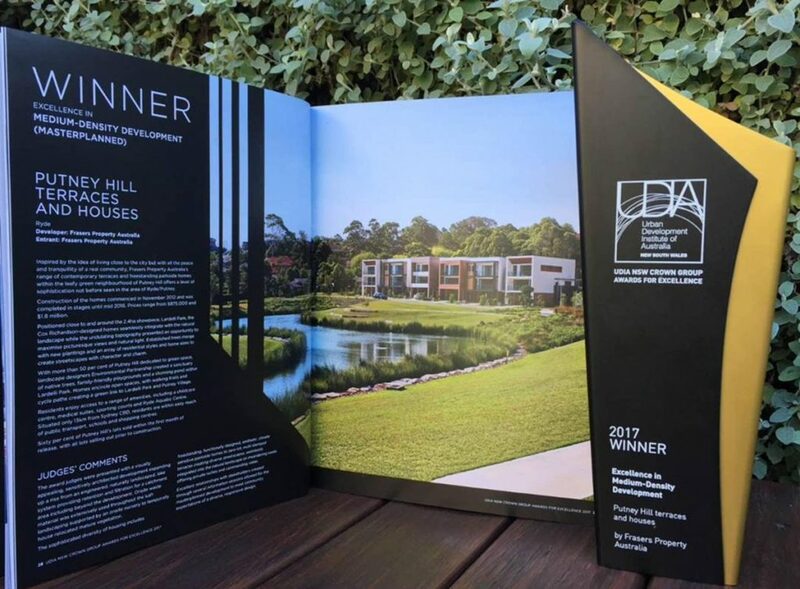 The excellences of the masterplanned community was recently recognised by the NSW Department of Planning and Environment and used as a case study for the Draft Medium Density Design Guide. The industry association’s NSW Excellence Awards recognise the achievements of the urban development industry and celebrate the ground breaking, innovative and trailblazing projects in NSW. Putney Hill, developed by Frasers Property Australia, was confirmed as the stand out winner of the Medium Density-Development category, impressing the judges across all criteria.